Come across the most beautiful monuments of Paris in this old and vintage french car . Founder of an innovative concept launched in Paris in 2003, 4 roues et 1 parapluie proposes to private individuals and companies a pallet of original services around the 2CV. 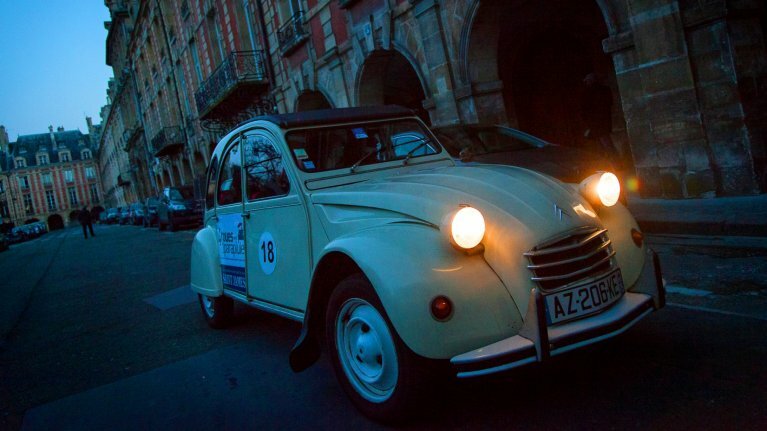 They suggest you 2CV rides with driver, to visit Paris in a original way. We invite you to discover a new French lifestyle through this mythic car. The 2CV is a part of our french industry and culture inheritance. The « deuche » is a mythical intergenerational car and famous worldwide. Therefor she’s also known as « La Très Petite Voiture » The 2CV awaken the senses : the hearing, through the noise of the engine, the view through it’s open roof and finally the touch through the velvet seats. With it’s narrow space she creates sociable link between people and facilitates exchanges. The first prototype of 2CV car was built in 1931, it’s function was to create a car for the working class for their everyday life and wich could drive them around on any type of roads but above all with basics equipments. Unusual experience to try while your stay in Paris ! Night Tour :Paris lights up and offers you a sumptuous sight. 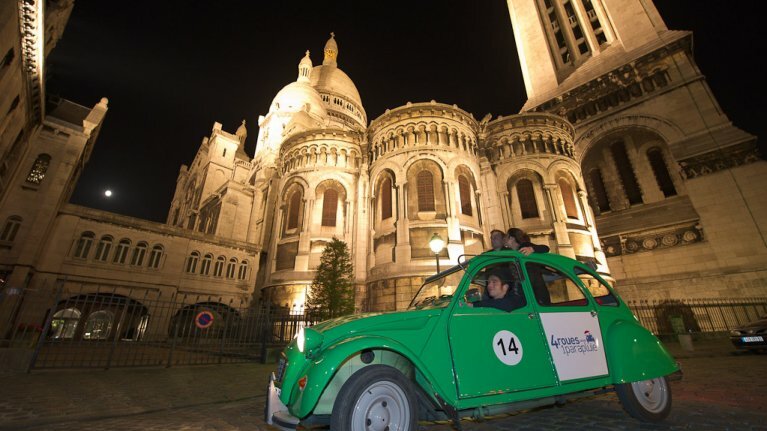 During an open roof nocturnal tour aboard your 2 CV, let yourself be dazzled by the magic of Paris at night. During this tour, our cultivated and elegant chauffeur will show you the Paris by night in 2 CH with comments and exclusive anecdotes. The departure can take place from your hotel or apartment as long as it is located in the center of Paris ( 1-20th district).